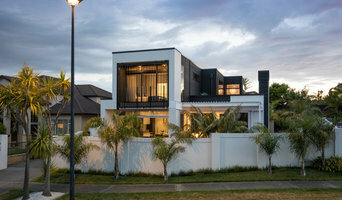 Alliance Architecture is a boutique architectural practice based in Auckland. Directors Julie Evans and Trevor Carpenter formed Alliance Architecture and pride themselves in their client relationships, workmanship and passion for great design. With expertise in residential homes, new homes, additions and alterations, our practical solutions transpire into inspirational spaces people love to live in. At Alliance Architecture, great design sits behind everything we do and it is why we are passionate about this industry. With that in mind we listen carefully to what our customers require from their new space and work with them throughout to meet their expectations within schedule and on budget. Our award winning design is predominantly contemporary, with an emphasis on simplicity. We work closely with our clients to ensure that each project is individually designed to meet their unique needs and requirements, while reflecting their personality throughout. When approaching renovations, we consider the existing character of the home and often work to restore at the same time as renovate as part of the project, preserving the integrity of the original home. Furze Architecture & Design has been fortunate to receive a number of industry awards over the years, including alterations and interiors awards for Landscape Road and Durham Hair. The focus of the practice is to provide a personalised architectural response to individual clients. It has been a successful collaboration over the years resulting in many design awards and many more clients whose expectations were exceeded. Daniel Marshall leads a core team of talented designers involved in a wide array of design projects. The emphasis is on attaining a high degree of resolution while developing the design to ensure a smooth and efficient construction process. Because the practice utilises state of the art technological processes, visualisation of the architecture is easily accessible to both client and builder. Our passion is great design, we believe that considered design makes all our lives better. Glamuzina Architects is an Auckland based practice established in 2014. We strive to produce architecture that is crafted, contextual and clever. Rather than seeking a particular outcome we value a design process that is collaborative, critical and rigorous. When designing we look to the context of a project beyond just its immediate physical location to the social, political, historical and economic conditions of place. This results in architecture that is uniquely tailored to the context it sits within. We work on many different types of projects across a range of scales; from small interiors to large public buildings. Regardless of a project's budget we always prefer to work smart, using a creative mix of materials, light and volume in preference to elaborate finishes or complex detailing. Our designs have been recognised for their excellence and innovation, winning many national and local awards including two New Zealand Architecture Awards in 2013 for S House and Lake Hawea Courtyard House. Auckland’s award-winning Four Walls Architecture, founded by Amy Hendry, has a passion for architectural excellence and dedicated service. Together with Claire Paterson, they have over 30 years of experience working on bespoke architecture for new homes and large scale renovations. Amy and Claire provide a comprehensive and friendly process to cater to all project needs. No matter the project, big or small, our clients can expect exceptional design and clear communication throughout the entire process. For residential clients, we deliver a full, comprehensive service from the initial concept design and working drawings through to on-site project observation and completion. We also offer a tailored approach for commercial clients, which is adapted and shaped according to project requirements. Being mothers of busy families, both Amy and Claire have that personal touch which will transform your house or space into your dream family home. At Milieu, we want to help you create your perfect place. Whether this is your home, a beach house or a place of work, we can create your dream. Milieu provides a personalised service to develop a thoughtful response to your individual requirements and the unique conditions of your site. We're here to help you throughout the process, liaising with consultants, suppliers and builders to take the stress out of your journey. Kate is a Registered Architect with 15 years of experience working both in New Zealand and overseas. Prior to establishing Milieu in 2016, Kate was involved in a range of projects, including residential, medical and civil developments at leading Architectural practices. Kate has also experienced the highs and lows of building projects from the client's side, having completed her own new house and a renovation. This has given her first-hand experience of the challenges and satisfaction that comes with creating your dream. 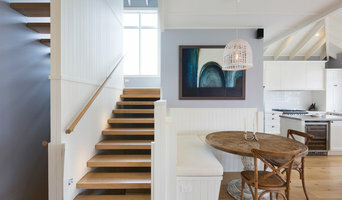 Rogan Nash Architects is an award-winning Auckland based architectural and interior design practice providing boutique design with exceptional service. Our creative team delivers innovative and flexible design solutions that support sustainability wherever possible. We focus on new houses, additions and alterations, small commercial projects and hospitality. Rogan Nash Architects is an NZIA Practice member. Rogan Nash Architects was founded by Kate Rogan and Eva Nash. Both Kate and Eva are registered architects in New Zealand and members of the New Zealand Institute of Architects. They are Professional Teaching Fellows and critics of Design at the University of Auckland School of Architecture. They both have international architectural experience and are widely published including HomeNZ, Your Home and Garden, Urbis, Sunday Star Times’ Sunday Magazine and Houses. As well as architecture, Eva’s passion lies in design and particularly in sustainable design (in which she has a Masters Degree) and Kate is also interested in interiors and furniture (check out her blog: www.ByAccidentOrDesign.com) and was Home Design Editor for Sunday Star Times’ Sunday Magazine and has twice judged the NZIA Local Architecture Awards. Architecture infused with top industry experience Ron Seeto Architects, formerly MCP Auckland, specialises in creating liveable spaces which, "make your neighbours jealous." We have a particular interest and experience in the design and delivery of interior and exterior spaces that meet client requirements driven by these fundamentals -- purpose, aesthetics, budget, site, culture, social and environmental. Born in Fiji and graduating with a Bachelor of Architecture with Honours from Auckland University, I have worked in New Zealand and the South Pacific – starting with Claude Megson and latterly Murray Cockburn. I believe the dream project holds these elements -- innovation and practicality. Listening and collaboration. Enthusiasm and commitment. Trust and clarity between architect, client and consultants. As every project is personal and unique, I do not work to a defined style or formula. Context is important, not to mimic but be part of a place in a liveable community. We have designed a wide range of projects including residential, commercial, and institutional, and have amassed special expertise in the residential, liturgical and the hotel/resort sectors. MA Studio is an award winning boutique architecture practice specialising in high quality residential, small commercial and hospitality projects. The practice was established in 2009 by AJ Sutton, since then we have worked on a number of commissions in a range of locations across New Zealand, from Northland to Central Otago. We are passionate about architecture, from small scale design to the wider context we work and live in, be it urban, rural or coastal. As well as designing new buildings we also believe in re-using existing buildings in a way that enriches the lives of its occupants while never losing sight of good planning and beautiful architecture. We listen to our clients and we are committed to providing architectural solutions that recognise their requirements, respond to the context of their site and delivers exceptional architecture. We work through all projects with a creative and well considered approach no matter how small or large. Welcome to Fraser Architects, a registered New Zealand Institute of Architects practice based in Auckland. We specialise in quality, bespoke residential architecture, creating liveable, beautiful and long-lasting homes. We are here to understand your vision, and help you to articulate, refine, and deliver a space that responds to your lifestyle. If you are planning on building, come visit us in our office, or contact us via email, we'd love to hear from you. If your renovation is more than a simple benchtop replacement or roof re-tiling job, then it may be time to find an architect in Auckland who can manage your project from start to finish. Depending on the architecture firm you hire, the scope can span from planning sustainable design into your renovations, to selecting furniture and even interior finishes. An architect is often the first person you hire for your project. Before taking steps to find an architect in Auckland, ask yourself what you want to achieve from your renovation or home construction. Do you want to improve the liveability and sustainability of your home, or simply expand? What style of architecture do you prefer? Once you have established your motivation, research architects that have completed similar house designs in your Auckland locale and within a comparable budget to yours. Ideally, your Auckland architect will be involved in all phases of the design process, from the initial concept to the completed construction. Your architect may be needed to select and hire subcontractors (e.g. builders, engineers and landscape architects) just as they may need to negotiate contracts with stakeholders. A good client-architect relationship will ensure they are your biggest advocate along the way during construction. Find residential architects on Houzz. 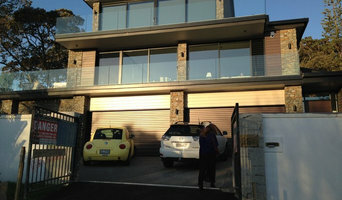 To find the best Auckland architect for your home design project, narrow your search to find professionals in Auckland. Then browse their latest projects and read reviews. You can also look through photos of projects to find an interior architect or designer who has worked on a project similar to yours.